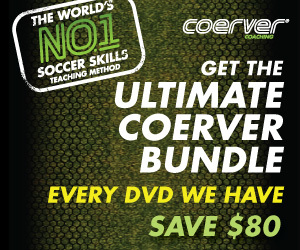 Counter-attack like Ronaldo, Marcelo and Kaka with this drill from Coerver Coaching. Let's first watch 10 amazing counter attack goals from Real Madrid. They don't waste anytime on the ball but push it up the field in quick one and two touch passes. Mark out an area measuring 15 x 40 yards, comprising two shooting zones of 15 x 5 yards and a middle zone of 15 x 30 yards with a small goal at each end. It’s three vs three and the aim is to score goals. The practice starts with the team in white bibs attacking the black team’s goal. Goals can only be scored from inside the scoring zone. 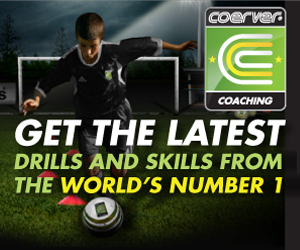 Only one player from each team can enter the scoring zone. Once the white team’s player has shot, he has to run around the goal. This is the trigger for the players in black to break out and counter-attack the whites’ goals – creating a three-on-two situation. Use the extra man.